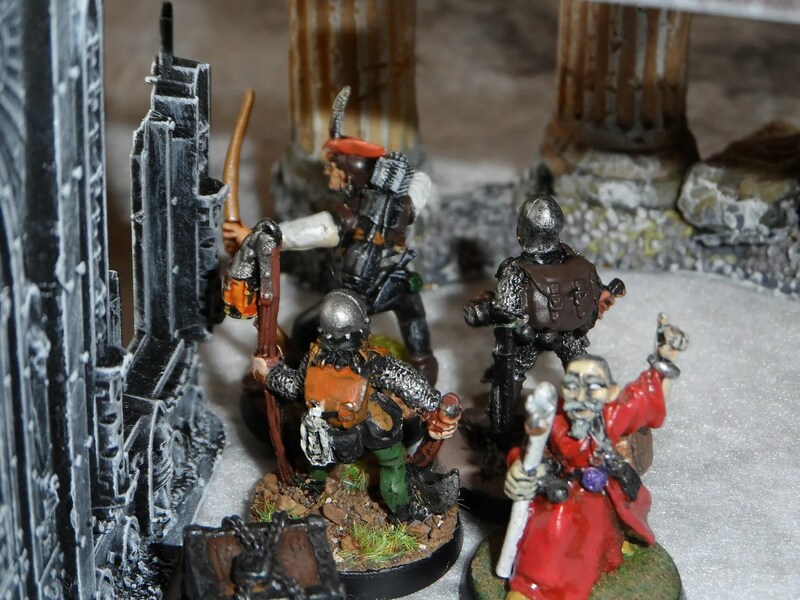 So, now all the bets were off with the undead rising all around us – 6 armoured skeletons. Holbron waded in to combat in the square (more XP ! 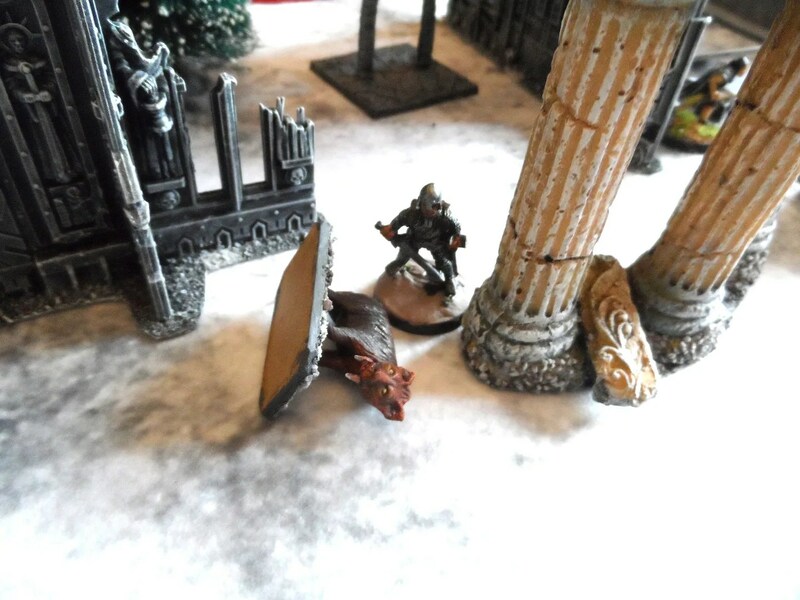 ), though it was the Treasure Huntress who did the damage and destroyed the armoured skeleton. A flank attack by Thaddeus’ pet dawg, Fluffy IV, was also sen off by my Captain after an embarrassing first round of combat. 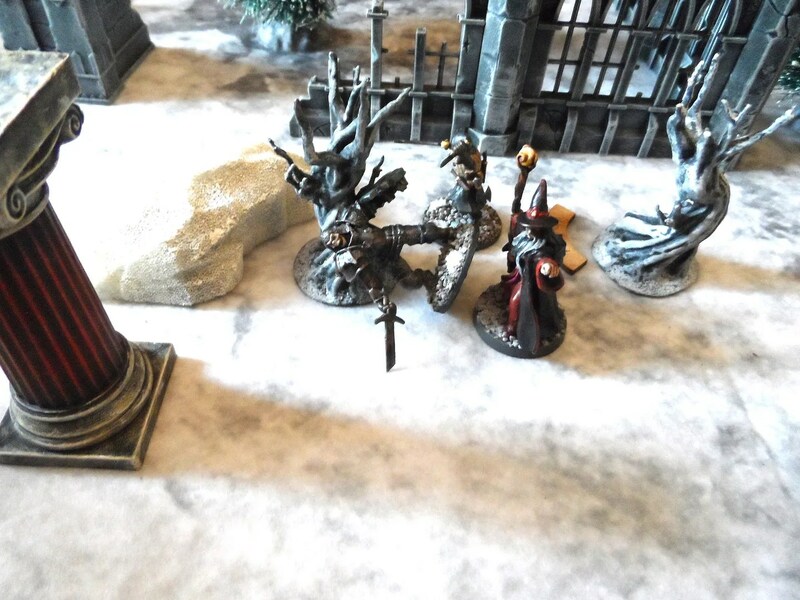 Despite my Apprentice having been cut down, Thaddeus minced i under cover of an Invisibility potion, and back out again, just as well as an armoured skeleton rushed past him and had to be dealt with by an injured Treasure hunter of his war band. 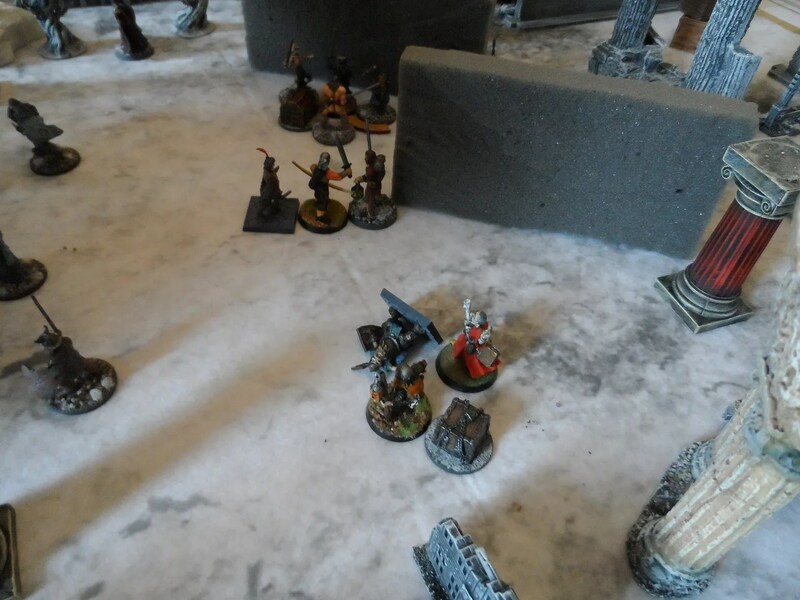 My Ranger went down to two armoured skeletons and another enemy who then had them jump on him. 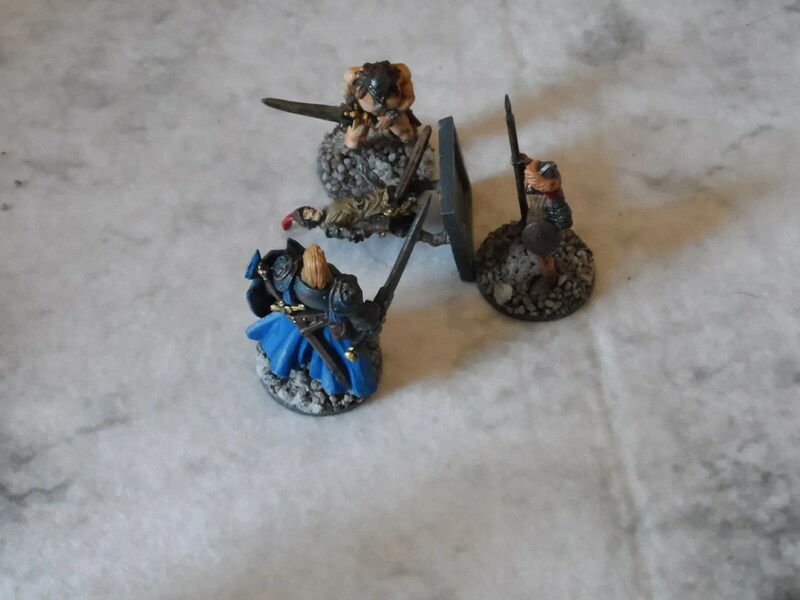 Never one to fight fair, Thaddeus’ brave henchmen ganged up, and a Knight (Blue Peter), a Barbarian and Infantryman downed a single armoured skeleton in an act of bravado, leaving three enemy bunched together. 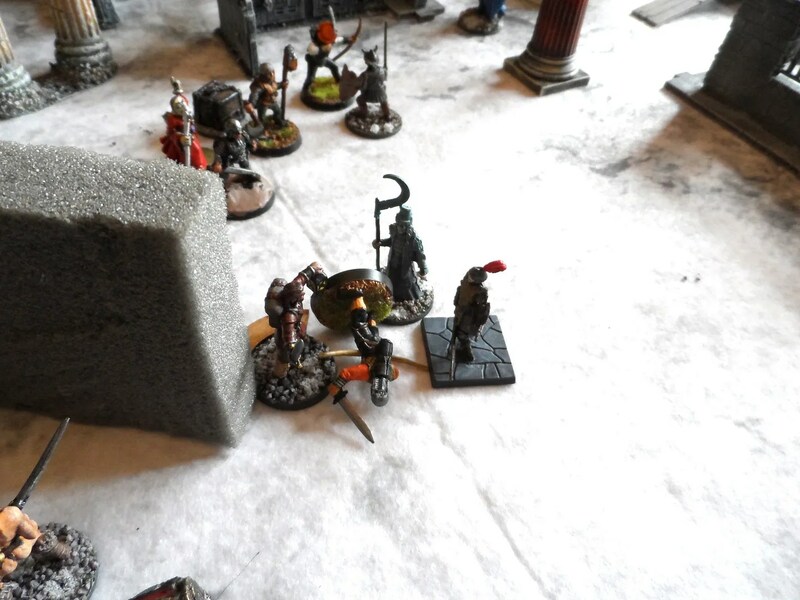 Which gave Holbron a perfect target for a Grenade spell, which downed the Barbarian, just as he and his crew exited the table of battle. This scenario was fun and easy to play – we took about an hour and a bit if that.